Home Remedies & Treatment Do You Know The Best Natural Way of Hair Fall Treatment 2018? It’s a challenge to maintain the health of our hair when it is facing Pollution every day, Stress, Rigid Dandruff and no time for hair schedule. Sulfur - Found in keratin,a component of hair. Anti Bacterial Properties which fights scalp infections. Antioxidants to protect hair follicles so hair can grow properly. Vitamin C - Builds Collagen, vital for hair growth. You can also use Lemon Juice instead of Indian Gooseberry Juice as per your convenience. PROCEDURE : How To Apply? Apply the Paste or Juice to the Scalp or Hair roots Two Times a Day till the time it dries and rinse it off by using Herbal Shampoo. Use this Method for 20-25 days to see proven results by yourself. 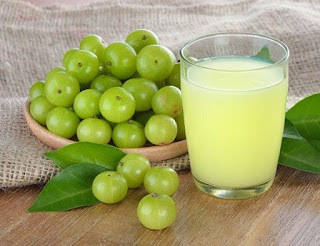 One small study published in JOURNAL OF DERMATOLOGY indicated that applying the above juice to scalp, help hair regrow of patients having the problem of hereditary Hair Loss by stimulating blood flow to the hair follicles. If u find this Blog helpful, then don't Forget to Subscribe by clicking on BELL ICON at bottom right corner & also share it with everyone who is seeking for best and natural way of Hair Treatment. i hope u liked it..